The Holiday Season is all about spending time with family and friends regardless of what religion you follow. 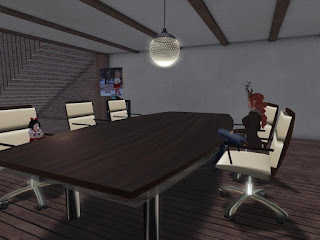 No matter what community we spend our time in here in Second Life, we all find some way to celebrate with the people we spend our time with. The "Family/Kid" role playing community feels the holidays even more than some others since "family" and "community" are at the very heart of the holidays. But not every kid has a family and some families are not here for the SL holidays, because they are off in real life celebrating, or on vacation. So, many who role play little kids are left alone with no one to spend time with. This year however, a small dent is being put into that loneliness. 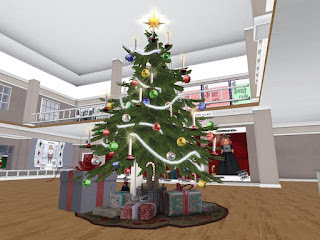 Sweet Tots store reached out to their customers and the kid community to host the first ever "Giving Tree and Sponsor an SL Child" for the Holidays. 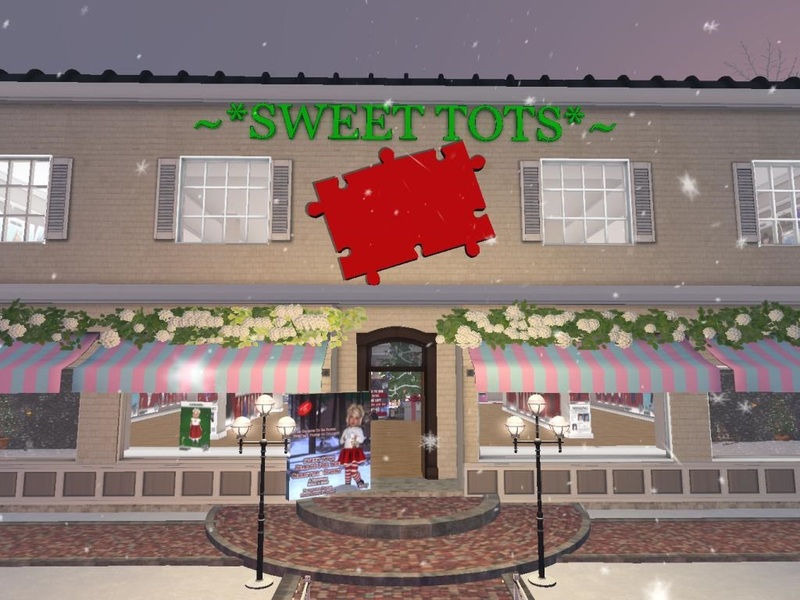 Sweetiepie Riggles the owner of Sweet Tots was approached by her SL sister Cryssie ｱєνєηѕєу Tiepolo яιℓєу (Crystalle Qork) with the idea for this because she herself was a kid with no family for the holidays. As the two talked over the details and opportunities they could see with the event, they got so excited that they started it two weeks early to give the kids even more time to make plans and interact with sponsors if they chose to. What they soon found, was that they had more response from people wanting to help and sponsor kids, than they did have kids. "At first pepols was scared to sign up. Sometimes pepols judge kids for being needy. but but the role of RPing a kids is being able to provide for us selves." said Cryssie "Lots of times kids are afraids to ask for help. Thems not wanna seem too needy." But they found a way around this fear by asking the community to refer kids to them as well as sponsor, in a notecard that the sent to their whole customer base. After the deadline for applications passed, Cryssie set up an "Angel Wall" that people could go to to pick kids to help. This was set up as an activity for families so they could role play doing this together. Depending on what the kid wanted to do (just get a present or spend time with a family) the sponsor was then able to contact the kid and share the gift or arrange an activity for them to join. Some kids might just RP a nice dinner or maybe time with Christmas Jammies, hot coco and stories. At that point it was all up to them. The outcome of the event was a smashing success. Some of the families fell in love with the kids they sponsored and asked them to join their families and adopted them. Others just got the joy of opening not just the one thing they hoped for, but a whole slew of presents. "Every kids that signed up gotta present whether they asked for it or not! I had 3 stores donate toys and stuff and 5 stores donate clothing but but Sweet Tots donated huge gift cards to all the kids that signed up. So each box has about 25-30 presents" said Cryssie. Cutiepie (0ojazzyd0o) was one of the participants this year. She and her sponsor spoke a few times about things she liked and what they were going to do to celebrate. When I spoke with Cutiepie she was looking forward to having dinner with her family, playing some games and exchanging some presents. When I asked her if she would do it again she absolutely lit up with excitement and said " i enjoyed doing it yes and if i chould do it a gan tomarow .... i got lots of gitf all readyy from some of the sponcers of the giving tree in cluding bubblegum and sweet tots and raynas closet. 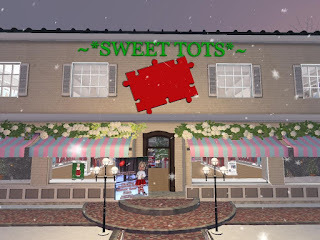 i saport sweet tots and thought it was a realy cool i dea to have a giving event." With such a successful event and so many wonderful experiences coming out of it I asked Cryssie if she would consider doing it again next year. Her immediate response was, "yes! I hope to do it for many many many many many years to come. I like knowing the lil bit effort helps sooooo many kids." So be sure to look into it next year if you would like to donate or participate and share in some holiday love.